The Nintendo DSi become even more colorful specially for Black Friday. 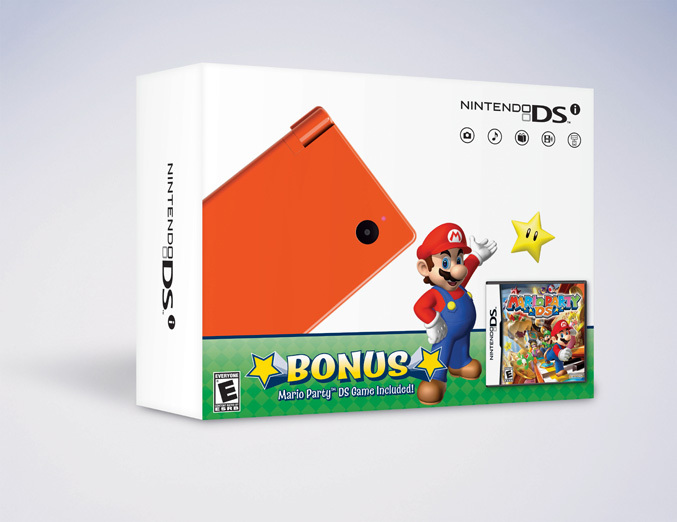 The company today announces two new, orange and green DSi bundles which includes Mario Party DS game. These new colors join Nintendo’s other bundles – the red Nintendo DSi XL and limited-edition red Wii hardware for the holidays that are being released in honor of the 25th anniversary of the famous Super Mario Bros game. The two new orange and green DSi bundles go on sale on Nov. 26 and will be available at a suggested retail price of $149.99.